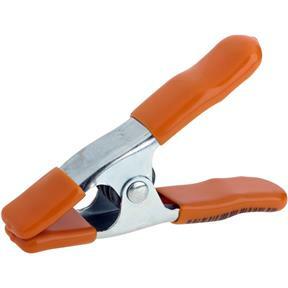 Spring action allows instant opening and closing where fast application or removal from the work is required. These heavy-duty, tempered steel spring clamps feature poly-vinyl protected handles and jaw tips and light weight nickel plated steel jaws for maximum strength. 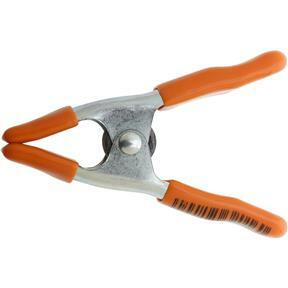 Ideal for holding irregular-shaped objects, gluing models, crafts and various other projects. Spring: heavy-duty tempered steel for maximum strength. Handles: designed for optimum comfort with minimized spread.